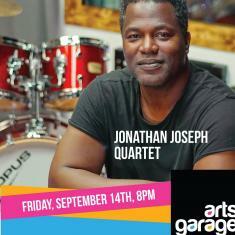 Friday, September 14 at 8 PM: Arts Garage presents Jonathan Joseph's Weather Underground. Jonathan has had a remarkable career, working with some of the greatest musical minds of the modern era, one of whom was Josef Zawinul, a founder of the great fusion band Weather Report. Jonathan became a member of his later band,the Zawinul Syndicate, in 1994 -1995 but before that, he worked with former member of Jaco Pastorius's Word Of Mouth band, the great Steel Drummer Othello Molineaux. As a member of Othello's band, Jonathan played on Othello's album entitled "It's About Time." Jonathan's performance on this album helped launch the tremendous career he currently enjoys. "The sound Jaco created represents the sound of South Florida and since I was born on Miami Beach, I have always been very honored to be associated with the sound of his music". With a view to keeping the spirit found in Jaco's music and Weather Report's ("WR") catalogue alive, Jonathan has assembled a tremendous group of musicians capable of executing WR's & Jaco's collective catalogue, once again bringing life to the soundtrack of many people's lives all over the world. 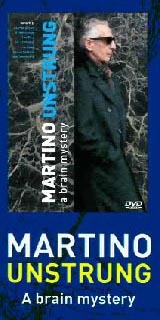 Assembling the Weather Underground band, Jonathan reached out to longtime friend and fellow Zawinul Syndicate alumnus, guitarist Randy Bernsen, Cuban-born bassist and current member of Gonzalo Rubalcaba's Volcan group Armando Gola, and current member of Othello Molineaux's band, keyboardist Abel Pabon. This powerhouse band will rock your world, playing tunes like: Black Market, Cannonball, Bird Land, Night Passage, Continuum, 3 Views of a Secret and many more...... These are concerts you don't want to miss, as the band takes you in a trip back down memory lane. See you at the show!!! Arts Garage is located at 94 NE 2nd Ave in Delray Beach. Tickets are $35-$40-$45 at artsgarage.org or 561-450-6357. BRING YOUR OWN ... WHATEVER! The theater boasts cabaret-style table seating, where patrons can bring their own food and drinks, including alcohol. Music courtesy of KCC Productions.